Wouldn't you like to be suntanning inside this cave right now? It's cold and miserable out there. And the office is not much better. I would rather be in a cave. 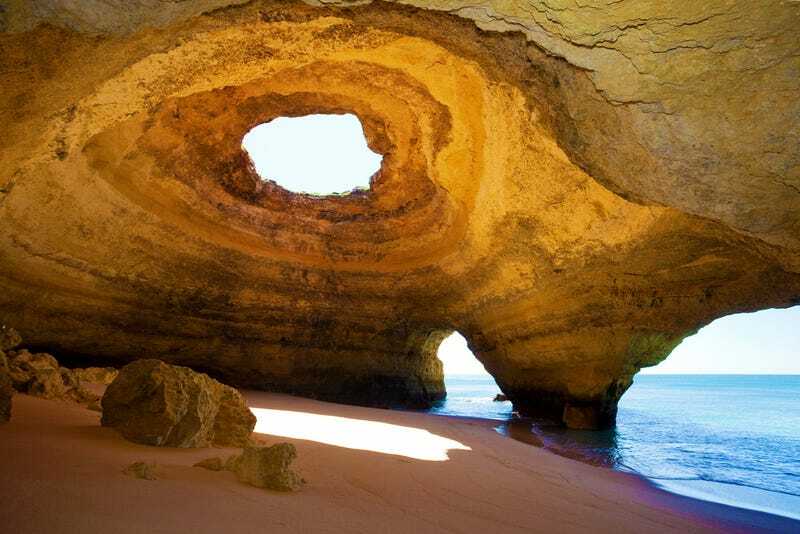 This cave, in the Praia de Benagil, in the Algarve, Portugal. What an incredible place. Although, truth be told, it'd be cold in the Algarve too. Not super cold, but too cold to tan right now.